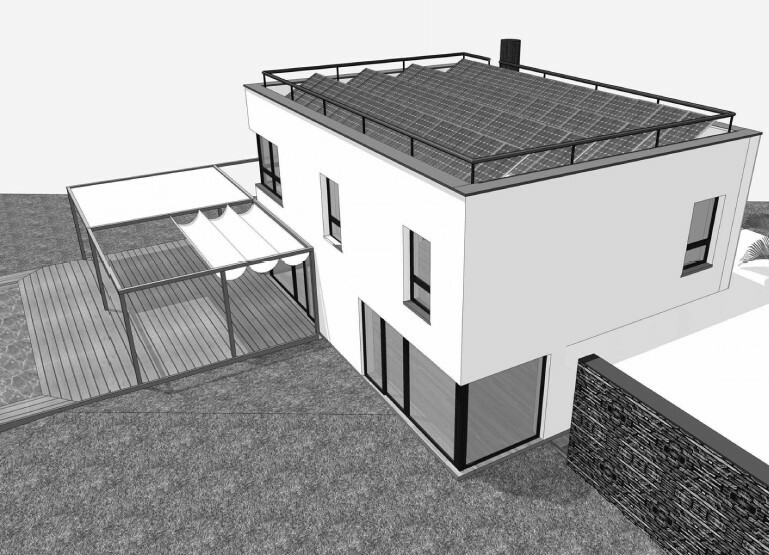 Passive house, nearly zero energy residential building. 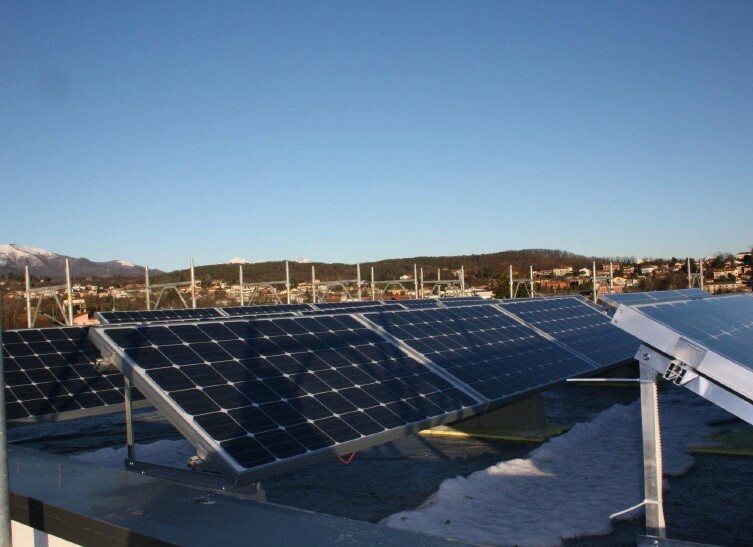 Solar photovoltaic systems are integrated in the roof. Air to hearth heat exchanger integrated in mechanical ventilation system.